The Brain Balance Program in Denton is dedicated to helping children achieve their goals. The Brain Balance Achievement Center of Denton can help children struggling academically, behaviorally, or socially, whether their troubles are at home or in the classroom. To get started with The Brain Balance Program, each child must complete a personalized assessment. 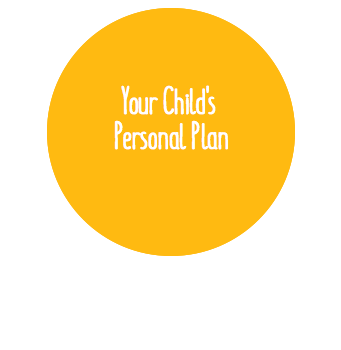 This assessment can help you understand what is at the root of your child’s issue. Our assessment delivers a complete profile of your child and provides us with invaluable information about your child’s current physical, verbal, and comprehension skills. With the results of your child’s skill level, we can create a customized program that meets your child’s needs. There is no other program like Brain Balance. Our holistic approach carefully combines sensory-motor stimulation and training, academic activities, and at-home exercises with an easy-to-follow nutrition plan. By creating individualized plans that focus on the specific needs of each child, our program is able to address the root cause of a child’s challenges and put them on the path to success. Could trouble in your child’s gut be effecting their brain? If your child is suffering from ongoing stomach troubles, we can help. Brain Balance’s clean eating nutrition plan for children can help to eliminate toxins from a diet, such as gluten, sugar and dairy, in order to improve gut and brain health. At the Brain Balance Achievement Center of Denton our dietary guidelines are part of our integrated approach, which includes at-home exercises as well as in-center sessions focused on sensory-motor activities and academics. These activities paired with proper nutrition can help to improve your child’s gut health. Making the choice to eat clean is a healthy option for everyone. It’s a life changing experience — one that you, your child, and your entire family will never regret. If you’re wondering how to address leaky gut, we have a plan for you! The Brain Balance Program in Denton can help to improve brain and body development by addressing your child’s physical, academic, and nutritional needs. Take the first step and schedule your child’s personalized assessment by calling our center at (940) 654-7870 or filling out the form above.